Skilling the youth in order to accelerate economic growth and reap maximum benefits from this demographic dividend has heralded the beginning of 2019 in India. Barely a week after the north-eastern Indian State of Jharkhand held its annual Skilling the Youth Global Summit, the western State of Gujarat has shone the spotlight on empowering the youth, as the key to empowering the nation. In the State of Jharkhand, elaborate steps over the past decade or so, have been taken to train youth who can be absorbed by various categories of industries and other agencies in India's fast-growing economy. The State trains youth for different skills and competencies so that India does not have to recruit foreign labour to run its economy. Thousands of youth have been trained and successfully implanted into the economy where they contribute to rising levels of production; and to the production of high quality goods. Training modules are based on the SME model featuring the "Tool Room" concept among other skilling concepts; as well as skilling and placing modules along the old apprenticeship concept. At the Jharkhand Summit held in Ranchi last week, graduands of courses who had secured jobs in prestigious national firms as the Indian giant TATA, were awarded special certificates of recognition. Jharkhand has a long-term vision of youth skills training and produces annual training plans adjusted to experiences on the ground. It serves as a model for other Indian States. The Vibrant Gujarati Summit for 2019 under way in the city of Ahmedabad, echoes India's national concern about matching skilled youth with jobs in order to cut down unemployment and raise economic production and productivity in her economy. India like Uganda, has a very high percentage of young people. Such a force properly harnessed by provision of education, skills and knowledge can be the bedrock of economic growth in a country. Conversely, such large numbers of young people can be a highly destablising force in a setting where they are bereft of both skills and jobs. 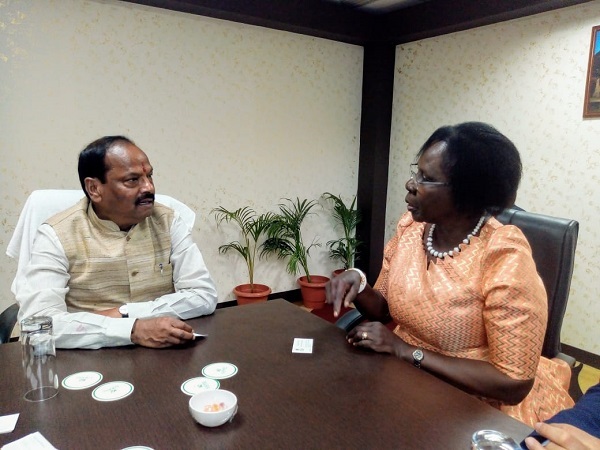 Uganda High Commission in Delhi is taking notes from India's efforts and models of skilling and training her youth. It is anxious to share this knowledge with relevant offices and officials who are working on similar challenges posed by Uganda's equally youthful population.